This week we have been learning about Insects. Students have been reading books about insects, writing interesting facts about insects and going outside to hunt for insects! 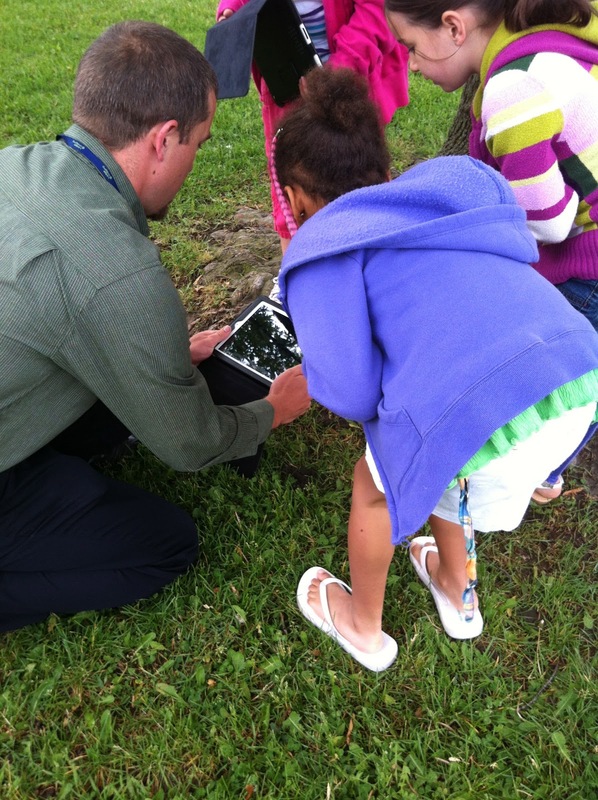 Students have been going outside with our volunteer Mr. Froze and the iPads to take pictures of insects. Mr. Froze with a group of students hunting for insects. 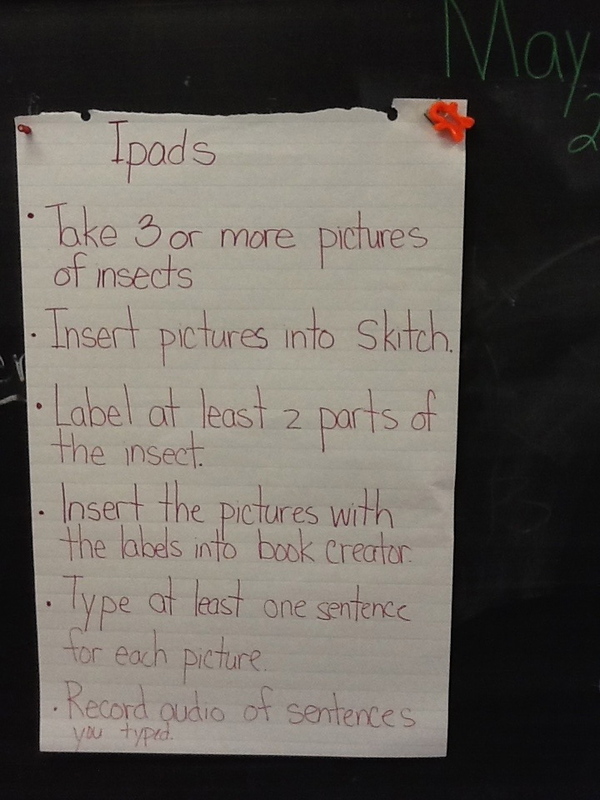 Students' used Skitch to label their insect. The students have found many interesting insects right in our own school yard. However, if students could not find any insects, I taught them how to go online, search for insect images and take screen shots. Students then have to open up Skitch on the iPad and label their insects. When students have finished labeling their insects they have to create an insect book using the Book Creator App and their labeled insect pictures. We didn't stop there, students also had to write a sentence to go along with their picture and record themselves reading their sentence. Picture from the Book Creator App. Students' projects will be marked according to following criteria created by the students and myself. I love how we have extended our learning of insects using the iPads. I love all the games you can use and play on the iPads, however using Apps like, Skitch and Book Creator for projects like this help the students develop a deep understanding of the material and information presented by collaborating with their classmates that might be less confident to share their knowledge in front of the class. Not to mention that is is a fantastic piece of authentic assessment! I would love to hear how you are using iPads to extend and enrich the learning in your classroom.